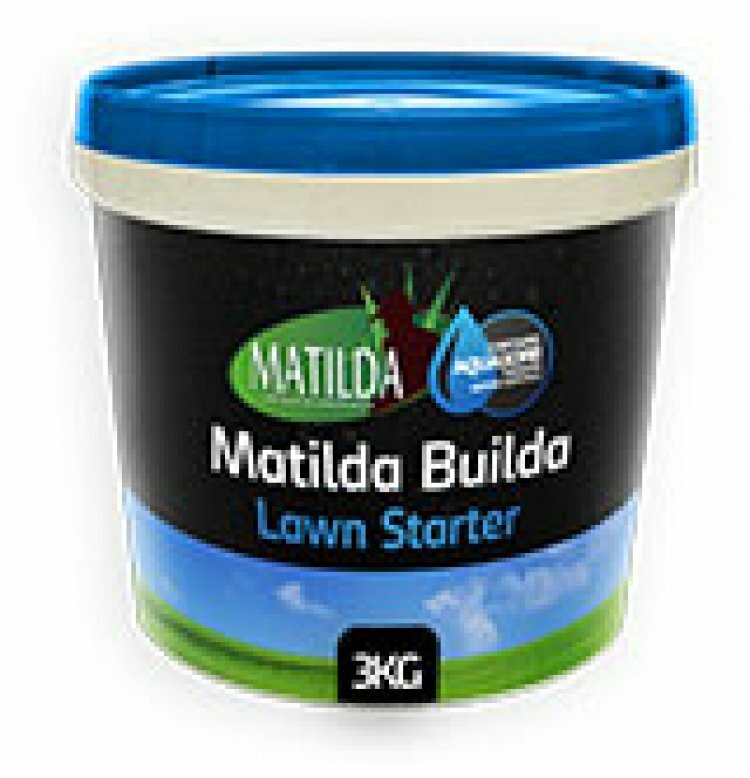 Our Lawn Starter Fertiliser is perfect for use under your Matilda Buffalo Lawn, but can be used on any type of grass. Matilda Builda - Lawn Starter is a slow release product designed to give your lawn all the nutrients it needs to survive the Hot summer days and cool winter nights. With 10% Water Crystals, Lawn Starter will last for years and help hold moisture in the root system and give access to water long after the rain or sprinkler is gone. This Product is for use BEFORE you lay your new lawn, It is applied under the turf rolls and preferably mixed with the top layer of soil using a rake etc. DO NOT Apply on top of your lawn.